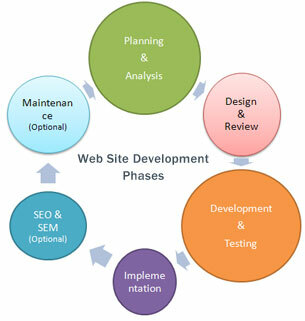 The theory of web development has been rehearsed numerous times in recent time. Once, there was only one framework for all web requirements, but nowadays unique and discrete solution is available. Website development is far more than a technical framework unit. The significance of the product is endless as it embraces a web presence to the business or individual or makes targeted audiences able to see the company’s portfolio in a quick time and without hassles. Web Creative Services also follow the same notions. What is Web Creative Services? Web Creative Services is web development company in India basically located in Delhi. The organization is equipped with a huge professional team for each department including website development. Our goal of product selling is simple and clear, we want to avail our product across the globe including India as well. We focus on high performing and cost effectiveness of the product as these two components are the weapons to make customers agree to buy the product and satisfy them as well. .Net– .Net is comprehensive and complete framework to build a website for any reason. The advanced technology has very much fruitful for the organizations which look to aim having secured and user-friendly website. PHP– PHP is highly used open source general-purpose framework especially suited for web development processes and can be entrenched into HTML as well. The scripting language is used for making dynamic and interactive web pages. There has been lot of advancement in the language and it is now I different sorts. The most used PHP Frameworks today are CakePHP, Codeigniter, Laravel and Zend . We also prefer the same for our development processes. PHP is one of our best buyable services. WordPress– It is the CMS (Content Management System) trusted by millions for their website requirements. We work on the most advanced version of WordPress and offer you website developed with self-controlling features. The demand of having user-friendly and dynamic website has been fulfilled with the availability of the latest content management system. Magento– Build your E-commerce platform in a unique and easy way where you can yourself edit, add and remove the contents. Our team of web developers at Web Creative Services enables to get a sophisticated and superb e-commerce website in the latest framework of Magento. Passion for Best Development– A website without bugs has no match and this is where we aim. We offer an error-free website to our customers. Customized Service– We always entertain the requirements of the customers. We ambitiously go for best solutions to the customers and make sure that they get satisfied. Affordability– It is our leading weapon to catch the attraction of our customers. We try to ease the budgetary parameters for our clients by offering a suitable product development in reasonable price. SOLID Principal– It is our leading weapon to develop robust applications. Our main goal is to provide modularity, productivity, and extensibility in our applications. Copyright © 2008 -2019 - Web Creative Services - All Rights Reserved.